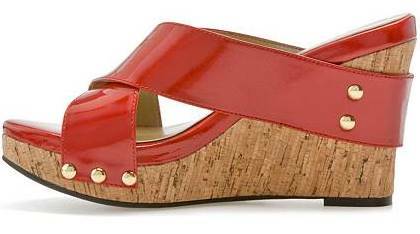 Shoe Doctor, PhD: Footnote: My shoe wishlist --> Red wedges! Footnote: My shoe wishlist --> Red wedges! I think I have 'red shoe' fever. 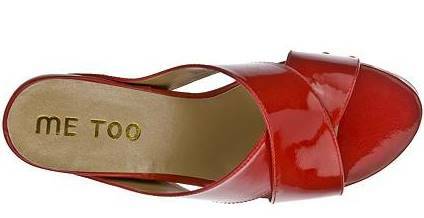 Every red shoe I see just calls out my name! 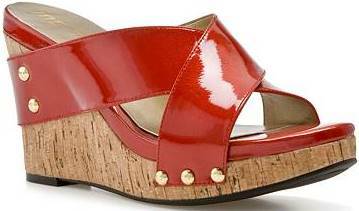 The sleek patent uppers, the quirky cork wedge, the studded detailing! Need I say more?